On 5/24/2017 at approximately 1916 hours members of the Kansas City Missouri Police Department were dispatched to the area of 57th and Bales Ave in regard to the sound of gun shots. Upon arrival officers were directed to the rear of a residence where they located the victim suffering from trauma to his body. KCFD EMS responded and confirmed the victim deceased on scene. This is being investigated as a homicide. Anyone with any information about this homicide is urged to call the TIPS Hotline at 816-474-TIPS for "up to $10,000" in reward money , or Det. J. 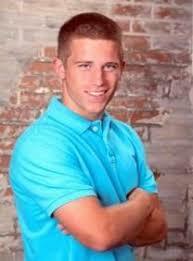 Wells, case detective, at KCPD Homicide Unit 816-889-1624/ 816-234-5228. KANSAS CITY, Mo. -- Jim Cavanaugh, a local comic book fixture in Kansas City, was killed Friday as he tried to stop a robbery. Clint`s Comics is located near 39th and Main Street and recently celebrated its 50th anniversary in Kansas City. Someone robbed the comic book store a little before 1 p.m. Friday. Store owner Jim Cavanaugh ran out the back after the thief and confronted the person as they got into their car. The robber tried to sped speed away and knocked Cavanaugh to the ground causing him to hit his head on the pavement. Cavanaugh didn’t survive. Video shows what appears to be a white hatchback speeding away from behind the store near 39th and Main. Police are still searching for that robber who sped away causing his death. If you have any information on who that driver could be contact the Greater KC Crime Stoppers TIPS Hotline. KANSAS CITY, MO --- The Kansas City, Missouri Police Department and the Greater KC Crime Stopper TIPS Hotline are asking for the public’s assistance in identifying those responsible for the February 27, 2017 homicide of David L. Lenox near 99th and Walnut in Kansans City, Missouri. Family and friends have increased the existing reward in the case bringing the amount up to a possible $12,000.00 for information leading to an arrest or filing of charges. 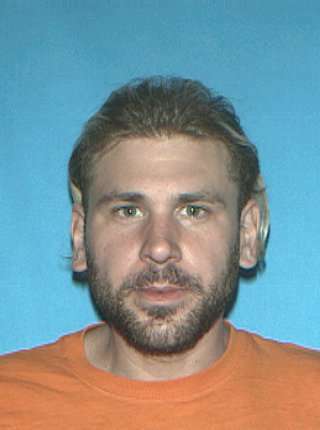 Michael Lenox, son, 816-668-3508 or Mindy Lenox, daughter, 786-266-3936, can be contacted for comment. Anyone with information is urged to contact Crime Stoppers Greater Kansas City TIPS Hotline at 816-474-TIPS (8477), TIPS may also be submitted electronically at www.KCcrimestoppers.com, or by downloading our NEW mobile app, P3TIPS, on Google Play or the Apple iOS stores for FREE. Information leading to an arrest and/or filing of charges could be eligible for up to $12,000.00 in reward money. ALL INFORMATION IS ANONYMOUS. 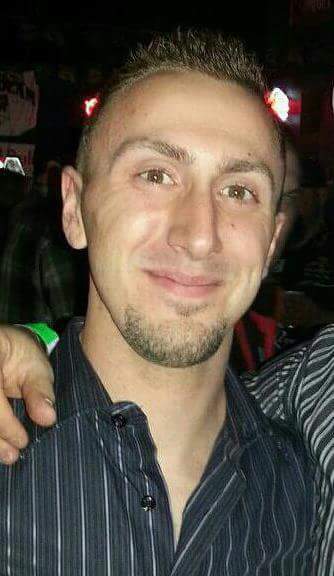 Logan Minton was shot on Sunday, September 18, 2016 near Armour Road and Knox Street in North Kansas City, Missouri. Police stated that Minton had been abducted in Kansas City, Missouri before his death. Police said they were searching for Minton’s maroon 2005 Buick LeSabre with a MO license plate. Police believe it was taken in conjunction with the homicide. Anyone with information is urged to contact Crime Stoppers Greater Kansas City TIPS Hotline at 816-474-TIPS (8477), TIPS may also be submitted electronically at www.KCcrimestoppers.com, or by downloading our NEW mobile app, P3TIPS, on Google Play or the Apple iOS stores for FREE. Information leading to an arrest and/or filing of charges could be eligible for up to $2,000.00 in reward money. ALL INFORMATION IS ANONYMOUS. At about 11 p.m. on Saturday, Dec. 19, an unknown person fired about 10 rounds from a 9mm pistol into BNSF’s Argentine Yard in Kansas City, Kan. from the 42nd Street bridge. One of the bullets ricocheted and went through the grill of a Kubota vehicle and into the cab. A BNSF employee was struck in the leg, either by the bullet or a fragment from the vehicle. He started bleeding but was not seriously injured and didn’t realize it was caused by gunfire. Another bullet entered the vehicle’s rear passenger side tire. At 6 a.m. the next morning, mechanics found a bullet in the vehicle’s cab and noticed bullet holes in the tractor. BNSF Police special agents found 10 casings on the bridge. This incident could have been much worse and BNSF is thankful its employee wasn’t hurt more seriously. It’s important that the shooter be identified. BNSF is offering a $5,000 reward for information leading to an arrest in this case. Please call 800-832-5452 if you have any information regarding this case. On March 4, 2015 officers responded to the area of 1831 E. 68th Street on a shooting call. Upon arrival Mr. Matherson was located on the ground next to a tan vehicle having sustained multiple gunshot wounds. After being transported to the hospital, Mr. Matherson died from his injuries on March 5, 2015. This was the 14th homicide of 2015. KANSAS CITY, MO --- The Greater Kansas City Crime Stoppers TIPS Hotline and the Kansas City, Missouri Police Department are asking for the public’s assistance in identifying a person involved in an aggravated assault in the 1000 block of West 111th Street in Kansas City, Missouri in February of this year. In the incident the victim, who survived, was shot four times in an apparent robbery after returning home and the victim’s dog, “Duke,” was also shot but did not survive. The composite sketch, created by local artist Lee Hammond, IS NOT a portrait of a specific individual, rather a representation of a suspect in the case created with witness input. The reward in the case currently stands at up to $15,000.00 for anonymous information submitted through the Crime Stoppers TIPS Hotline. Crime Stoppers would also like to recognize the support of Lamar Outdoor who has already placed digital billboards up near I-70 and Benton and I-70 and I-435 near the Kansas Speedway. Anyone with information is urged to contact Crime Stoppers Greater Kansas City TIPS Hotline at 816-474-TIPS (8477), TIPS may also be submitted electronically at www.KCcrimestoppers.com, or by downloading our FREE P3Tips app. Information leading to an arrest in the case could be eligible for up to $15,000.00 in reward money. ALL INFORMATION IS ANONYMOUS. Mr. Preuitt was shot by an unknown suspect(s) and later died from the wound. A dark colored SUV was possibly involved in the incident. Police are seeking any additional information on the vehicle or encounter that morning. An additional contribution of $3,000.00 has been added to the reward fund for information leading to an arrest in the case bringing the total possible reward up to a possible $5,000.00. KANSAS CITY, MO --- The Crime Stoppers TIPS Hotline and the Belton, Missouri Police Department are seeking information in regard to the December 22, 2014 homicide of Chad Donaldson. The homicide is believed to have occurred in the early morning hours. Mr. Donaldson was last seen at the QuikTrip located on MO 58 Hwy and US I-49 at about 10:30pm on 12/21/2014. RHP Properties (Springdale Lake Estates) has added $2,000.00 to the existing reward and G&K Services added an additional $5,000.00 bringing the total up to a possible $9,000.00 for information leading to an arrest in the case. by downloading our FREE P3Tips app. Information leading to an arrest in the case could be eligible for up to $9,000.00 in reward money. ALL INFORMATION IS ANONYMOUS. ON 11/18/2014 AT APPROXIMATELY 9:54PM KCPD OFFICERS RESPONDED TO THE AREA OF 12TH AND WOODLAND IN THE T.B. WATKINS NEIGHBORHOOD TO INVESTIGATE "THE SOUND OF SHOTS FIRED." SHORTLY THERE AFTER OFFICERS RESPONDED TO TMC AS TWO PERSONS HAD ARRIVED BY PRIVATE VEHICLE AT THE HOSPITAL WITH GUNSHOT WOUNDS. THE DRIVER OF THE VEHICLE SUSTAINED A NON-LIFE THREATENING LEG WOUND HOWEVER THE PASSENGER, KYLE LONGDON, HAD RECEIVED A CHEST WOUND AND DID NOT SURVIVE. 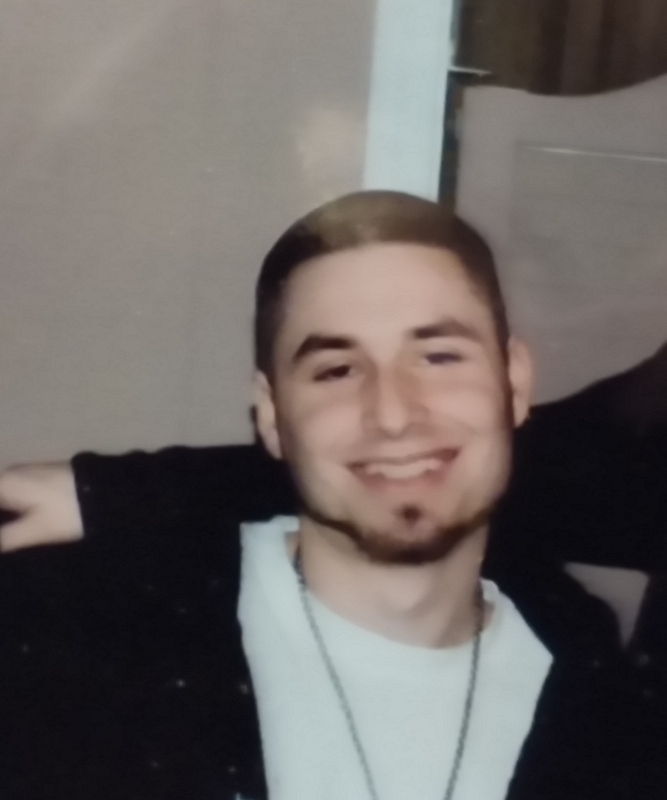 KYLE`S DEATH WAS THE 65TH HOMICIDE OF 2014. THE CRIME STOPPERS TIPS HOTLINE HAS "UP TO $2,000.00" IN CASH REWARD AVAILABLE FOR ANONYMOUS INFO. SUBMITTED TO OUR PROGRAM THAT LEADS TO ARREST.